I happened to be scrolling through my Facebook yesterday and saw a hypnotic post. I wonder if you've seen it, or am I the last one to see it, as usual. The post was about a hairdresser named Kristina Cheeseman. She literally turned someones hair into a Kaleidoscope. My eyes were blurry, and finding it hard to focus, but I loved it. I've since looked her up and found out she is the hairstylist behind "Prism Roots". A colour change in your hair that starts from the roots. A picture of this is attached. Unfortunately Kristina isnt in the UK, working at The Chop Shop in St Louis, USA. 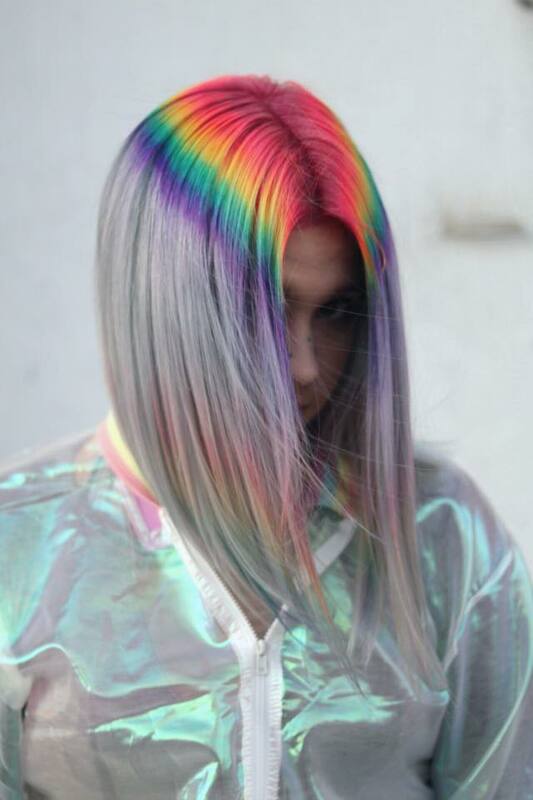 However if there's any colourist in the UK that can do this I'm sure we'll be seeing more kaleidoscopic rainbow hair soon.